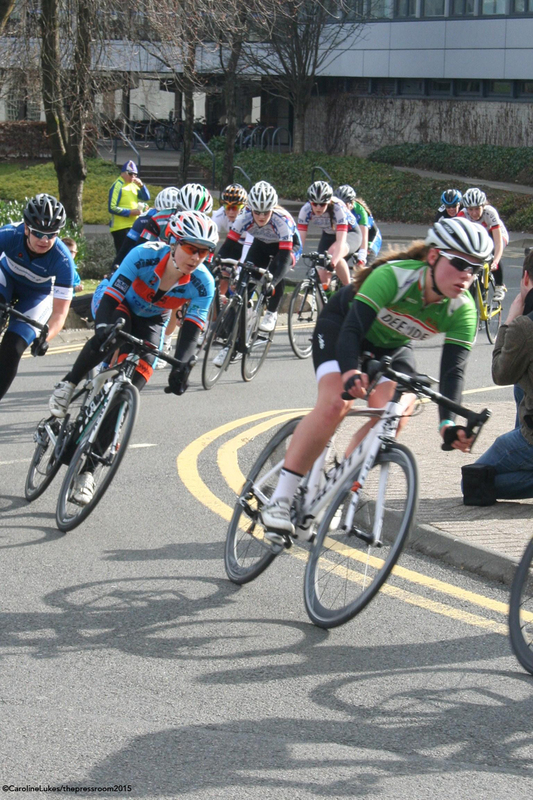 With a whole series of criterium racing about to kick off we thought we'd have a look back at the season-opening Crit on the Campus, a young event that is fast becoming one of the best. JMC was there and gives us his take on an excellent day of racing. 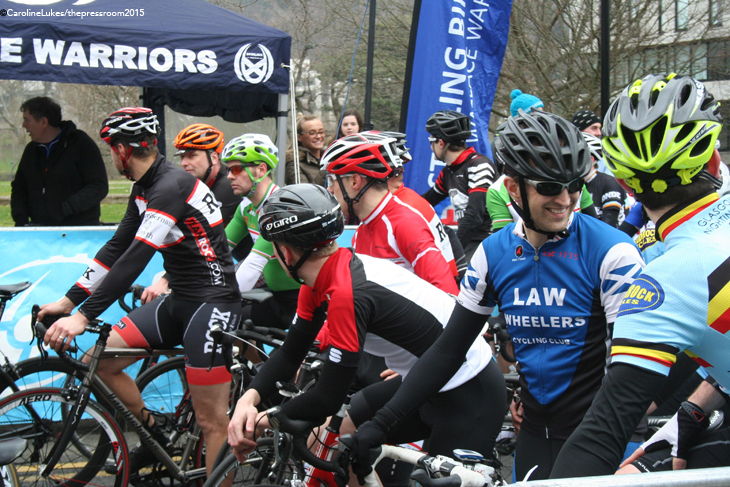 Sunday 22nd of March saw the lycra-clad great and the good of Scottish cycling converge on Stirling University campus, for the second running of the increasingly popular Crit on the Campus. 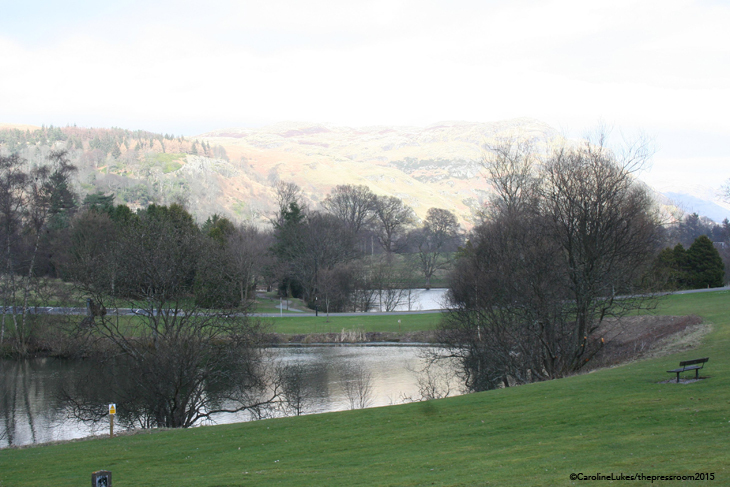 The event run by the Stirling Bike Club ranks as one, if not the best, of the Scottish National Criterium events and courses. Where most crit' courses are flat full gas corner-to-corner affairs, the Campus course takes in an undulating and sinewy slither around the link roads and car parking area of the venue, this mated with a superbly tricky downhill descent back to the sound box of the start/finish area and you have the perfect phlegm clearer of an event before the road season really stamps its pedals into gear. With a full race card covering all the Youth classes as well as full grid events for the top Scottish and indeed British National Champions, the healthy and vocal crowd would have plenty to warm themselves with amid the biting chill of a crisp Spring Stirling day. 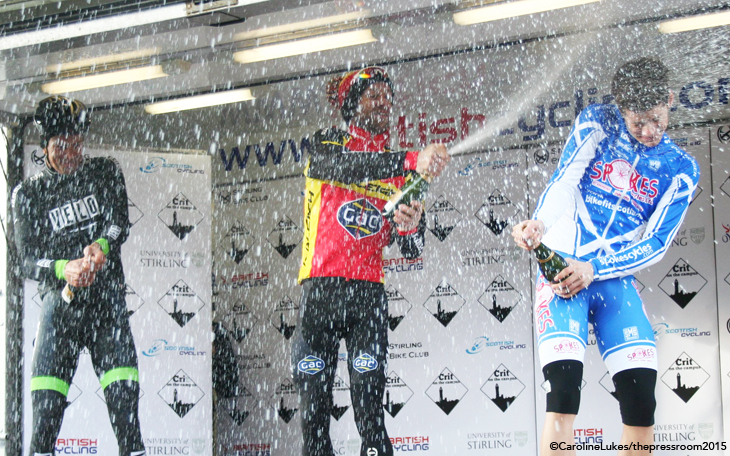 The main race of the day had 2014 Premier Calendar winner, and last year's runner-up, Evan Oliphant (Team Raleigh GAC) line up with the likes of David Lines (Starley Primal/Velosure), the Neon Velo duo of Peter Murdoch and Steve Lawley, and a battalion of Spokes RT teamsters, all geared up to have a crack at grabbing the event title. From the off, the full field was to come under serious early pressure from the main protagonists, and very soon the race was going to be all about the foursome of Oliphant, Lawley, Murdoch and the very impressive Fraser Martin (Spokes RT). These four had left Lines in no man’s land after missing the selection but he, along with prolific Scottish TT ace Arthur Doyle (Dooleys Cycling), were left with the task of trying to bring the break back into the hour long race. Towards the end of the race the main bunch swung back and forth as the 30-second lead was increased, and then simultaneously washed away, and it would be the bell lap that would prove to be the final sort out for a step on the Commonwealth Games podium that had been procured for the presentation in the main arena area. The favourites for the grab for the line had to be the Murdoch and Lawley Neon Velo pairing who had been riding stoically for the full race distance, but as spectators craned their necks for a glimpse of the lead rider exiting onto the run in to the line it was the yellow and red garb of Oliphant who blasted into view to hook up the win from Murdoch and Martin, the young charger nabbing the last spot on the podium in the final dash. Doyle, albeit 16-seconds down had to fight for the best of the bunch scraps as it continued to splinter at race end. With the return of Eileen Roe (Wiggle Honda) from her Antipodean adventures, and a clutch of Scottish International and Games talent in the shape of Charline Joiner (Team WNT), Kayleigh Brogan (Aprire Bicycles/HSS) and Louise Borthwick (Project 51) among others, Scottish Women's cycling did themselves proud by providing the biggest grid of female riders outside a British Championship or Commonwealth Games event. The 50-plus rider entries made for a great spectacle early in the race as the field stayed very much together in the early laps with Brogan doing much of the work and policing of the bunch. With no one rider seeming to want to make the break from the bunch, the speed was continually wound up tourniquet style until the top heavy group started to haemorrhage as the final five lap board was shown. The still compact group chopped down the laps, and it would be a final corner scramble to decide the winner. All hell did break lose with the final surge to the line though, with Roe, Borthwick and Brogan coming down hard, thankfully none with significant injury. 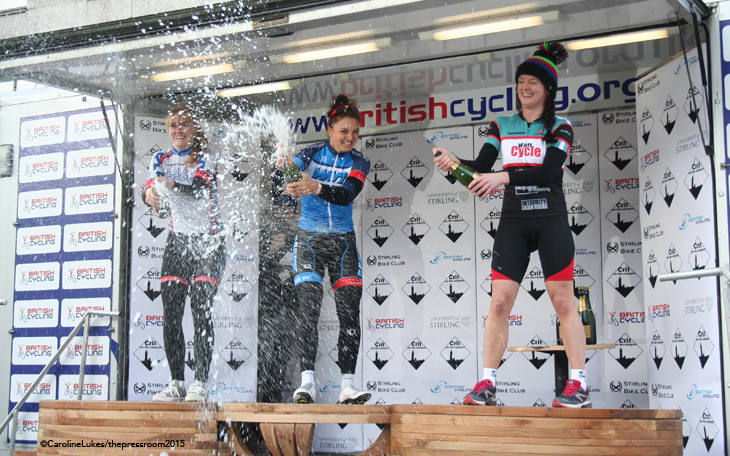 This left Joiner firmly in the driving seat to blast the win from Project 51 rider Flora Gillies and the impressive Ellen McDermott (Watt Cycles) making up the podium trio. The traditional handlebar biting class of 4th Category races certainly took a step up with two separate races to quench the thirst of a hugely popular category of racing. The racing itself was surprisingly well behaved and in both events large bunch group riding was the order of the day. Both races would come down to who was best placed in the final laps with Race 1 winner Douglas Ferguson fending off a glut of chasers to hit the line in numero uno position. Race 2 proved to be more of the same with Glasgow Green rider Richard Warnock coming out top of the heap in the very well supported class. With a myriad of Youth races spread throughout the early part of the programme, and in fact braving the worst of the temperatures, there were some stand-out rides during the early part of the day, none more so than the Youth A event, which saw a strong group hold together for the 30 minute race. Again, with the nature of the circuit lending itself to close racing, it would be a final charge for the line to sort out who would be podium-bound and who would be a wheel-width away. 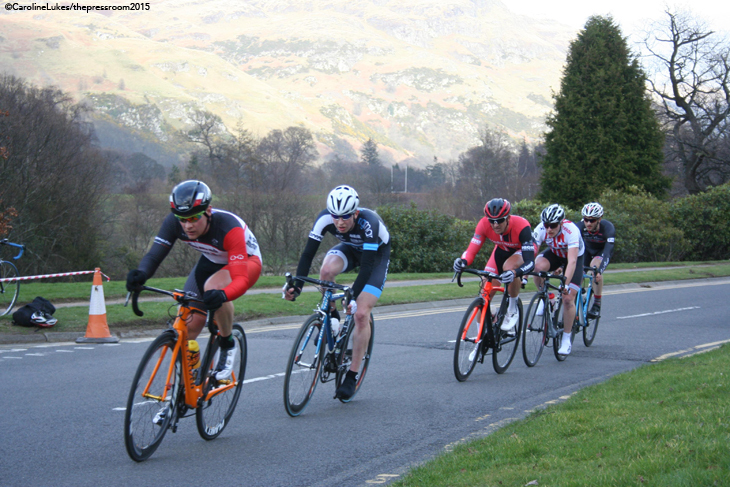 For the record Joe Nally (Hardie Bikes) made a final push for the line to take the narrowest of wins from Stephen Dent (Nevis Cycles) with Lewis Stewart (Glasgow Riderz) in third. In amongst the boys though it's worthy of note that Stirling's Rhona Callander scored a popular local win coming out top girl in the class. With so many classes run concurrently in the Youth events, it is always appropriate to acknowledge the efforts of a strong vein of talent that is coming through in Scottish cycling, and here are some of the youngsters who made a mark on the Campus course over the course of the day's proceedings. The Pressroom would like to thank Andrew Wilson, Sam Shaw and the Stirling club for assistance in compiling the report and availing themselves on the day. It is also worthy of note that these events do not happen without a huge amount of goodwill and assistance from the marshalls, sign on and volunteers that are truly the backbone of events such as these. Cycling in Scotland is going through a boom time with the format of closed roads events, and participation levels auger well for future events. Now would it not be nice to have an actual series that could run at different locations with willing councils, clubs and campus venues?